Xinjiang province. Light blue are areas where Sarikoli is spoken. The Sarikoli language (also Sariqoli, Selekur, Sarikul, Sariqul, Sariköli) is a member of the Pamir subgroup of the Southeastern Iranian languages spoken by Tajiks in China. It is officially referred to in China as the "Tajik language", although it is different from the language spoken in Tajikistan. Sarikoli is officially referred to as "Tajik" (塔吉克语 Tǎjíkèyǔ) in China. However, it is not closely related to Tajik as spoken in Tajikistan. It is also referred to as Tashkorghani, after the ancient capital of the Sarikoli kingdom (now Tashkurgan Tajik Autonomous County in Xinjiang, China); however, this usage is not widespread among scholars. The number of speakers is around 35,000; most reside in the Taxkorgan Tajik Autonomous County in southern Xinjiang Province, China. The Chinese name for the Sarikoli language, as well as the usage of Sarikol as a toponym, is Sèlèkùěr yǔ (色勒庫爾語). 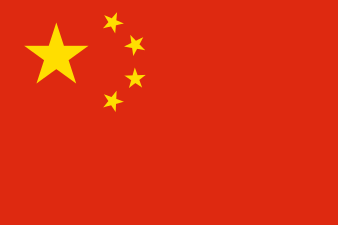 Speakers in China typically use Uyghur and Chinese to communicate with people of other ethnic groups in the area. The rest are found in the Pakistani-controlled sector of Kashmir, closely hugging the Pakistan-Chinese international borders. It is mutually unintelligible with the related Wakhi language. The language has no official written form. Gawarjon, publishing in China, used IPA to transcribe the sounds of Sarikoli in his book and dictionary, while Pakhalina, publishing in Russia, used an alphabet similar to that of the Wakhi language in hers. The majority of Sarikoli-speakers attend schools using Uyghur as the medium of instruction. a [a], e [e], ɛy [ɛi̯] (dialectal æy or ay [æi̯ / ai̯]), ɛw [ɛu̯] (dialectal æw or aw [æu̯ /au̯]), ə [ə], i [i], o [o / ɔ], u [u], ы [ɯ] (dialectal ů [ʊ]). In some dialects also long variants of those vowels can appear: ā, ē, ī, ō, ū, ы̄, ǝ̄. Most words receive stress on the last syllable; however, a minority receive stress on their first syllable. Also, several noun declensions and verb inflections regularly place stress on their first syllable, including the imperative and interrogative. Although to a large extent the Sarikoli lexicon is quite close to those of other Eastern Iranian languages, but a large number are words are special to Sarikoli and the closely related Shughni, that are not found in other Eastern Iranian languages like Wakhi, Pashto or Avestan. meat ɡuʃt (گوشت) ɡuʃt (гушт) ɡuʂt ɣwaxa, ɣwaʂa (غوښه) ɡuːxt ɡɯxt ? tooth dændɒn (دندان) dandon (дандон) ðɯnðɯk ɣɑx, ɣɑʂ (غاښ) ðinðʉn ðanðun ? wheat ɡændom (گندم) ɡandum (гандум) ɣɯdim ɣanam (غنم) ʒindam ʒandam ? small kutʃik (کوچک)) χurd (хурд) dzəqlai ləɡ, ləʐ (لږ) dzul dzɯl ? ↑ Hammarström, Harald; Forkel, Robert; Haspelmath, Martin; Bank, Sebastian, eds. (2016). "Sarikoli". Glottolog 2.7. Jena: Max Planck Institute for the Science of Human History. ↑ A wide variety of transcriptions of the name "Sarikoli" are used in linguistic discussions, such as 萨里库尔语 Sàlǐkùěryǔ, 萨雷阔勒语 Sàléikuòlèyǔ, 色勒库尔语 Sèlèkùěryǔ, or 撒里科里语 Sǎlǐkēlǐyǔ. 1 2 3 4 Gawarjon (高尔锵/Gāo Ěrqiāng) (1985). Outline of the Tajik language (塔吉克语简志/Tǎjíkèyǔ Jiǎnzhì). Beijing: Nationalities Publishing House. ↑ Rudelson, Justin Jon (January 2005). Lonely Planet Central Asia Phrasebook: Languages Of The Silk Road. Lonely Planet Publications. ISBN 1-74104-604-1. ↑ Shaw, Robert (1876). "On the Ghalchah Languages (Wakhi and Sarikoli)". Journal of the Asiatic Society of Bengal. Asiatic Society of Bengal. XIV. ↑ Arlund, Pamela (2006). An Acoustic, Historical, and Developmental Analysis of Sarikol Tajik Diphthongs. Arlington, Texas: The University of Texas. p. 8. ↑ Gawarjon (高尔锵/Gāo Ěrqiāng) (1996). 塔吉克汉词典 (Tǎjíkè-Hàn Cìdiǎn) Tujik ziv – Hanzu ziv lughot. Sichuan: Sichuan Nationalities Publishing House. ISBN 7-5409-1744-X. ↑ Pakhalina, Tatiana N. (1966). The Sarikoli Language (Сарыкольский язык/Sarykol'skij Jazyk). Moscow: Akademia Nauk SSSR. ↑ Pakhalina, Tatiana N. (1971). Sarikoli-Russian Dictionary (Сарыкольско-русский словарь/Sarykol'sko-russkij slovar'). Moscow: Akademia Nauk SSSR. Arlund, Pamela S. (December 2006). "An Acoustic, Historical, and Developmental Analysis of Sarikol Tajik Diphthongs". Ph.D. dissertation. Arlington: University of Texas. Retrieved 2009-03-27. Xiren Kurban; Zhuang, Shuping (January 2008). "中国塔吉克语色勒库尔方言概述/A Probe into China-Tajik Selekur Dialect" (PDF). Language and Translation: 13–19. ISSN 1001-0823. Retrieved 2009-03-27.